I have a love/hate relationship with routines. My OCD/perfectionist/controlling tendencies LOVE routines. I like to know what to expect. I like to know when to expect it. I like to even know a few steps before and after the "it" that I am expecting. Life (i.e. kids, marriage, adoption) has really challenged that notion. I realized that flexibility is such a great asset, and a necessity to live a life trusting God. My oldest son (bless his little heart) has inherited some of my OCD-ness. He is OBSESSED with routine. In fact, any deviation from the path is worthy of a major breakdown. Me: Let's clean up and then go upstairs. We will read a book, brush our teeth and then go to bed. Me: (After getting upstairs) Let's brush our teeth first and then read a book. Folks, I mean a real meltdown. He may stomp up and down. He may explode in a waterfall of tears. He may roll on the floor, shot down from the arrows of the the change in routine. If we even *consider* moving away from what was originally stated - we have a serious issues here. He cannot handle change at all. I am not the only one to notice. My sister watched the little ones the other night and was amazed at his ability to really "lose it" when things go differently than originally expressed. The other two are completely fine. In fact, my second son, is so easy-going that I have never heard so much of a whimper from him if we change things up. It was causing me some concern and a little bit of a frustration. I had to make sure that what I was saying was REALLY going to happen in the ORDER that I was saying it. For example, if I said we were going to the bank, the store, and then to the library, I had better not go to the library first without having a sufficient enough explanation for my six-year-old. 1. Mommy can change her mind. 3. Things happen in life that are unexpected. 4. We cannot have a meltdown when things do not go as planned. 5. Trust that Mommy knows best. As I look at that list, I see a lot of lessons I can learn as well. Life is unexpected. We all learn that lesson pretty quickly. It is how we handle the unexpected things that matter. 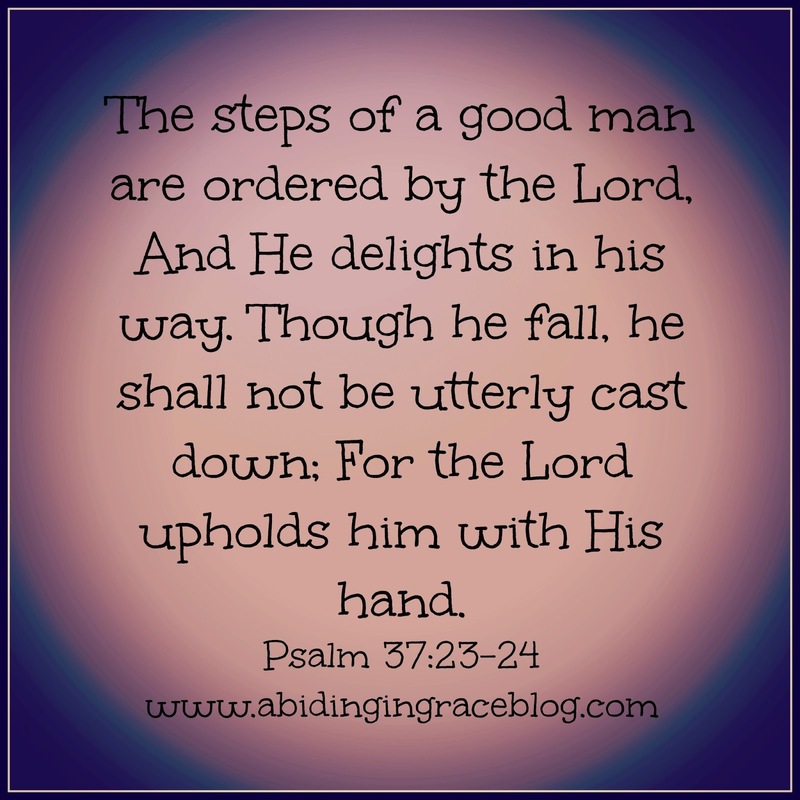 I have to admit that I can lose sight of God's hand when life goes unplanned. We can plan and plan, but God really is in control of our circumstances. Trust that God knows best. What a hard lesson to learn!? We say we trust God, but all He has to do is throw in something unexpected and our faith is truly tested. Are we really believing that He holds us in His hands? If we do, we have to keep reminder ourselves that - especially when the routine changes and the unexpected happens (whether big and small). I want my son to learn this lesson, but I need to be reminded as well. Honest Moments are part of a series I do with Keri over at Living in this Season. These are the two main social media links to use!